In a long-awaited decision, the First Circuit Court of Appeal has rendered a judgment in the case of Barber vs. Louisiana Workforce Commission, No. 2017 CA 0844 (La. App. 1 Cir. 10/19/2018), reversing the district court and finding the administrative review/appeal process for medical treatment of injured workers constitutional. The decision is yet another vindication of legislative intent and the cooperative effort that produced the Medical Treatment Schedule (MTS) and the utilization review process implemented under La. R.S. 23:1203.1. In 2009, the Louisiana Legislature passed La. R.S. 23:1203.1, requiring the Office of Workers’ Compensation (OWC) to develop and promulgate treatment guidelines for injured workers in this state. With input from a medical advisory council and other stakeholders, OWC enacted the MTS in June of 2011, including an administrative process for reviewing and appealing medical treatment decisions. R.S. 23:1203.1(J)(1) and (K), R.S. 23:1314(D) and (E)(1), LAC 40:I.2715(B)(3)(d)-(f), and LAC 40:I.2715 (F), (H)-(L), regarding the statutory and administrative process for appealing medical treatment decisions to the OWC medical director and judges. Unrelated to the MTS, plaintiffs also asserted that OWC had violated constitutional due process and separation of powers provisions by interfering with the independence of the workers’ compensation judiciary. After filing suit in April of 2013, plaintiffs sought a preliminary injunction. 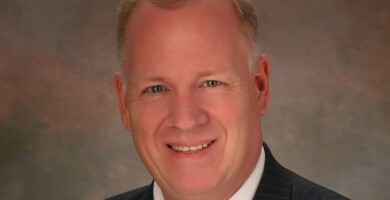 Following a hearing, on June 24, 2015, the district judge granted a preliminary injunction precluding OWC from enforcing the disputed statutes/regulations. The decision was stayed pending appellate review. A direct appeal to the Louisiana Supreme Court was rejected based on the court’s conclusion that constitutional issues were not properly before it, and the appeal was transferred to the First Circuit Court of Appeal. In an unpublished opinion issued on June 2, 2016, that court reversed the trial court’s judgment as procedurally improper, and remanded the matter for trial. On remand, evidence from the prior hearing was supplemented to include testimony from the current OWC director. Following trial, the district judge issued a judgment on March 2, 2017, finding the disputed portions of the statute and administrative rules unconstitutional, and permanently enjoining the agency from enforcing them. The judge also enjoined OWC “from allowing anyone to attempt to communicate with judges of the OWC regarding pending workers’ compensation claims,” and ordered the agency to take proper action to ensure that workers’ compensation judges and their staff were insulated from undue influence. Defendants suspensively appealed to the First Circuit Court of Appeal. The appeal was heard in November of 2017, before a three-judge panel consisting of Judges Guidry, Crain, and Pettigrew. On October 19, 2018, the court rendered a decision largely reversing the trial court’s judgment and finding the MTS process as implemented by OWC to be constitutional. After finding that at least one of the employee plaintiffs had standing, the court turned to the substance of the appeal, first addressing the plaintiffs’ contention that “tacit denials,” i.e. denials based on a payor’s failure to approve or deny treatment within five days after receiving a request for treatment, are unconstitutional. The court concluded that the rule providing for tacit denial was consistent with the authority granted to the director under §1291 and §1203.1. Similarly, the court rejected plaintiffs’ contention that tacit denials violate substantive due process under the federal and state constitutions. It agreed that claims for medical treatment are protected “property interests” subject to constitutional protection. However, it concluded that plaintiffs failed to prove that the tacit denial rule amounts to arbitrary and capricious conduct. To the contrary, the court agreed that defendants purported justifications for the rule – i.e. that the practice was consistent with prior practices; that the tacit denial, as opposed to a tacit approval, prevents doctors from administering care that may subsequently be deemed unnecessary; and that tacit denials guarantee that providers will be paid for services that are ultimately found to be necessary – are rationally related to the legitimate government interests of protecting injured workers from unnecessary treatment and ensuring that providers are paid for proper treatment. The process for requesting a variance is delineated in LAC 40:I.2715(L). Consistent with the statute, the rule requires that the provider/employee seeking a variance must submit supporting “scientific medical literature that is higher ranking and more current than the scientific medical literature contained in the medical treatment schedule” to the OWCA medical director. The plaintiffs asserted that §2715(L) is unconstitutionally vague and violates state and federal due process rights. They argued that an “ordinary person” can’t understand the meaning of “higher ranking medical literature.” Further, they contended the rule violates the separation of powers doctrine and exceeds the authority delegated to OWC by the legislature, by imposing an unrealistic burden of proof beyond the simple preponderance standard articulated by law. Plaintiffs argued that R.S. 23:1203.1(D)(5), providing that the MTS “shall be based on guidelines which … [a]re, by statute or rule, adopted by any other state,” is unconstitutionally vague “because an ordinary person… would not know which states have medical treatment guidelines and researching which states have guidelines and what those guidelines are is unduly burdensome.” Noting that “a statute is not vague because it may at times be difficult to prove,” the court held that §1203.1(M), and its incorporation of §1203.1(D)(5), set forth a clear standard concerning what must be proved to obtain approval of treatment not covered by the MTS. Remaining consistent, the court also rejected the plaintiff’s assertion that the administrative process for appealing denials of treatment to the OWCA medical director and judges violates procedural and substantive due process. The plaintiffs argued that the administrative process is unconstitutional because (1) the injured worker is not provided with an opportunity to object to information submitted by the payor; (2) the injured worker is not provided with an opportunity to present evidence or examine witnesses before the medical director; and (3) the appeal of the medical director’s decision to the workers’ compensation judge is confined to the record, with no right to call witnesses or submit evidence, precluding him/her from meeting the “clear and convincing evidence” standard required in §1203.1. Addressing procedural due process first, the court observed that “in the context of administrative action, the judicial model of an evidentiary hearing is neither required nor even the most effective method of decision making in all circumstances.” It cited three factors to be weighed in assessing the specifics required by due process, including (1) the private interest that is affected; (2) the risk of an erroneous deprivation of such interest under the current procedure, and the value that may be added by additional safeguards; and (3) the government’s interest, including the function involved and the fiscal and administrative burden that will be imposed by alternative procedures. Jurisprudence from four of the five circuit courts allowing employees to submit additional evidence to the workers’ compensation judge when appealing a decision of the medical director. Likewise, the court rejected plaintiffs’ substantive due process argument. Peripheral to the MTS challenges, plaintiffs asserted that OWC was improperly interfering with the agency’s judiciary via (1) a program to evaluate judges via a special assistant to the director, (2) meetings to direct judges on how they should rule on particular issues, and (3) by entertaining ex parte communications/complaints from attorneys regarding judges. They argued that the agency’s conduct violated their constitutional right to due process and the separation of powers doctrine. Reviewing the record, the court cited a statement from one judge that she had been “instructed by the administration” that the medical treatment schedule was procedural and should be applied retroactively.1 In addition, the record referenced an incident when an assistant to the director had informally told an attorney that she could not win a hearing regarding a dispute over medical treatment. The court concluded that OWCA had violated plaintiffs’ due process rights by interfering with the independence of the OWC judiciary. As such, it affirmed the trial court’s decision enjoining the agency from communicating with WCJ’s regarding pending claims, and ordering the agency to take appropriate action to insulate its judges and their staff from undue influence. As a final matter, the court rejected plaintiffs’ contention that ex parte communications from third parties to the director violate due process. That issue largely centered on complaints from workers’ compensation attorneys regarding particular judges and/or pending matters. In each instance, the director referred the complaints to the Chief Judge without taking any action against the judge involved. The court noted that prior to the district judge’s decision, in December of 2015, OWC had already enacted a rule for submitting complaints about workers’ compensation judges. (See LAC 40:I.5534). It concluded that plaintiff’s failed to prove that the third party communications were forwarded to the judges, or otherwise resulted in any interference or improper influence. The First Circuit’s decision is a clear defeat for the Barber plaintiffs and further validates the MTS review/appeal process implemented in the Administrative Code. 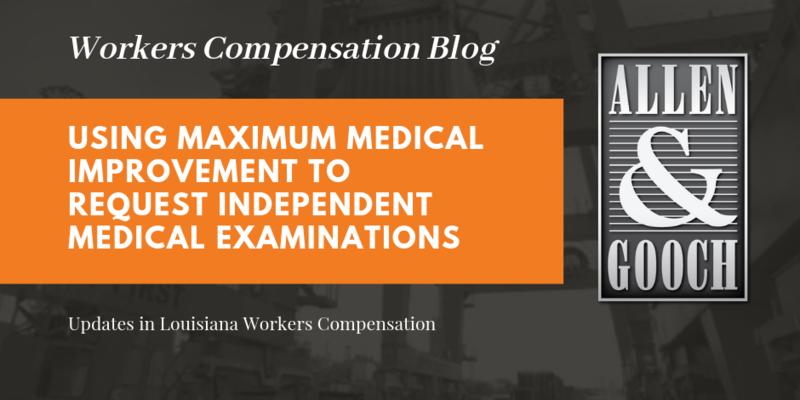 Although the plaintiffs will presumably seek review by the Louisiana Supreme Court, the current rate of approvals by the OWC medical director – some 80% versus the 40% approval rate when suit was filed – may have assuaged some of their concerns. Whether the process works as intended is a broader issue. Louisiana’s treatment guidelines have not been substantially updated since they were enacted almost eight years ago. A 2015 update based on changes to Colorado’s guidelines was opposed and ultimately withdrawn. Likewise, a current proposal to update chronic pain guidelines will certainly face challenges from the business community, which has largely been excluded from the current incarnation of the state’s Workers’ Compensation Advisory Council. Legitimate concerns exist based on judicial decisions that have arguably invalidated delays to appeal decisions of the OWC medical director, and/or regarding evidence that may be considered on appeal. Further, under the current system, all disputed treatment requests funnel through a single physician who serves at the pleasure of the Governor and his appointees. As such, changes in administration have seen sudden and substantial shifts in what is or is not deemed “necessary” medical treatment. If the goal of workers’ compensation is to expedite good medical treatment and return injured workers to the workforce, it seems short-sighted to allow the propriety of treatment to ebb and flow with the tides of electoral fortune. 1Contrary to the plaintiffs’ assertion that OWC instructed its judges to rule that the MTS applied retroactively, multiple judges including this writer reached the opposite conclusion and issued judgments accordingly. The Louisiana Supreme Court ultimately agreed with the agency, holding that R.S. 23:1203.1 and the administrative process adopted under it applied retroactively.